Cut 4 thin slices from 1 lime; set aside. Cut 1 small wedge from same lime. Squeeze remaining limes to get 1/4 cup juice; set aside. Rub lime wedge around rim of 4 margarita glasses. Sprinkle salt on small flat plate; dip rim of each glass into salt. Fill glasses with crushed ice. 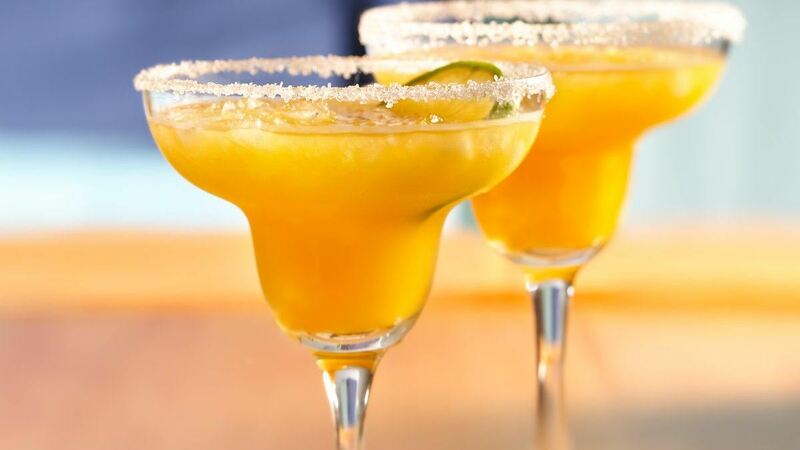 In 4-cup glass measuring cup, mix mango juice, tequila, liqueur and reserved 1/4 cup lime juice. Pour mixture over ice in glasses. Garnish each drink with lime slice.